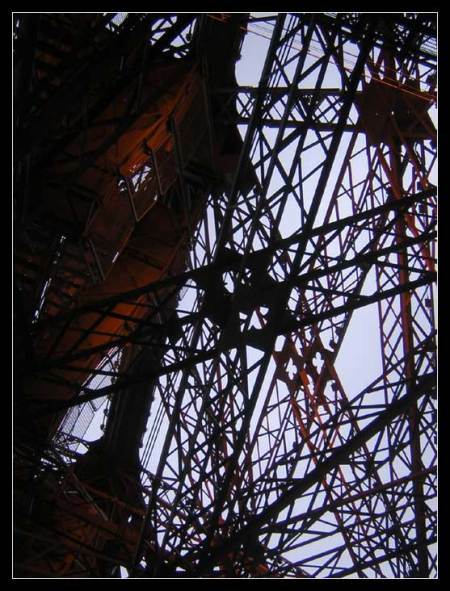 Urban Aesthete | Abstract Photography and Futurist Narrative » Blog Archive » Series: Eiffel Tower-2. 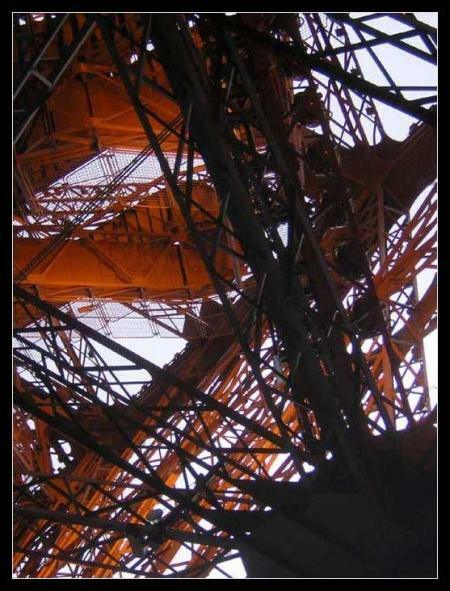 Series: Eiffel Tower-1. Series: Eiffel Tower-3. A web of metallic angles weave across the layers of color. Orange, black and blue collide in an abstract explosion of mathematical precision.